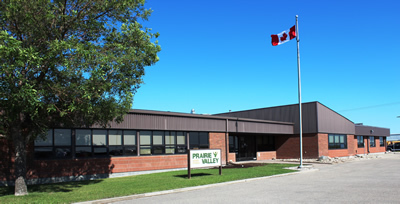 ​ A primary function of the Facilities department is to ensure that building infrastructure and grounds are well-maintained, safe and conducive to learning and working (includes indoor air quality, heating, ventilation, lighting, acoustics, utilities, grounds and playground equipment). Well-maintained, healthy and clean buildings can increase student achievement by providing safe, well-organized spaces conducive to teaching and learning. Rigorous standards are set and monitored to ensure that our caretakers deliver high quality service and they are in the buildings and available when needed most. Prolong the useful life of the facility through planned, proactive replacement of major components that have exceeded their life cycle and are due for failure in the near future, or that have failed. Upgrade education areas to meet program or operational requirements. Meet the requirements of students requiring intensive supports. Replace or upgrade building components to improve energy efficiency. Some examples of PMR projects are repairing roofs and flooring, making washrooms accessible and renovating science labs, libraries, and practical and applied arts labs. The overall Facilities Master Plan, which is updated periodically. Consideration of consultant and engineer reports. Details about the facility recorded in "Asset Planner". Projects are ranked based on condition, risk and urgency and sorted into fiscal years, with a three-year planning timeframe. This becomes the PMR plan. The overall plan, including specific projects, ranking and schedule is subject to change based on unforeseen priorities or changes in funding. Click here for the current plan.